Can ESMR be a substitute for Heart Surgery in End stage Heart disease. Congestive Heart failure or CHF is one condition that indicates a pump problem. The heart muscle which gets damaged by a heart attack or hypertension, coronary artery disease, drug, infection or toxins is unable to pump out enough nutrition rich blood, to meet the requirements of the body. CHF may generally go unnoticed in the early stages, and the weakened heart compensates by enlarging and beating faster. It cannot keep up indefinitely for sure and like every overworked muscle symptoms become evident such as fatigue, shortness of breath and fluid retention. Most conventional physicians use drugs to help reduce the heart’s workload which in reality does not address the core problem which is the heart muscle is running out of steam. At NEOMED Hospitals we offer alternate INTEGRATIVE therapies for heart diseases that increase the level of circulating stem cells. 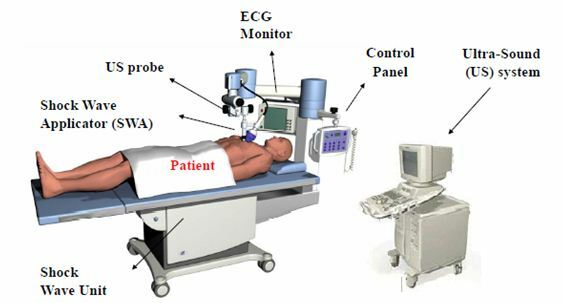 ESMR or Extracorporeal Shock wave Myocardial revascularization is a non-invasive treatment that helps in the increase of blood flow to the heart and throughout the body. It is used primarily for angina and coronary artery disease and Congestive heart failure which is shown to reduce the workload of the heart and to improve the capacity of oxygen utilization in patients. Rajagopal ,age 80, had severe congestive heart failure with EF-17% and he had suffered several heart attacks. He never had surgery because his blockages were inaccessible Before ESMR Rajagopal was oxygen dependent, and he was on heart transplant waiting list. Most activities ,particularly walking and climbing steps triggered breathlessness with Angina. He could not walk half a block without having to stop and rest. After ESMR, his EF improved to 60% and he was taken off the heart transplant list, was no longer oxygen dependent, and could walk twelve blocks and climb steps with ease. You have medical management. After the medical management phase, then you go for an angiogram. Through the angiogram, they are able to find out how many blocks you have in your coronary arteries. Based on the blocks, you’re either going to be a candidate for bypass surgery or peripheral angioplasty, or they may use a stent, which can be a bare metal stent, or a drug-eluting stent or a biodegradable stent. But what people don’t know is there’s another option called ESMR, Extracorporeal shock wave Myocardial Revascularization. What does ESMR actually do? 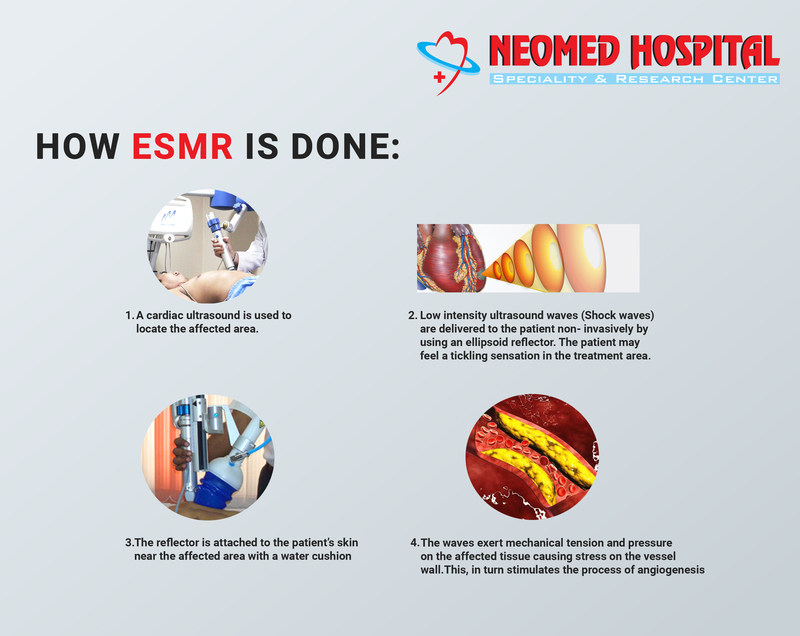 A principal benefit of this treatment is that rather than surgically grafting one or more vessels, ESMR allows your body to create new vessels without surgical intervention. It triggers the creation of thousands of tiny vessels that provide as much, if not greater, volume of blood to your heart. while the main blood vessel that gets the graft or stent only contributes 30 to 40 percent of the blood supply going to your heart, the remaining majority is actually supplied by microvessels, which number in the millions.